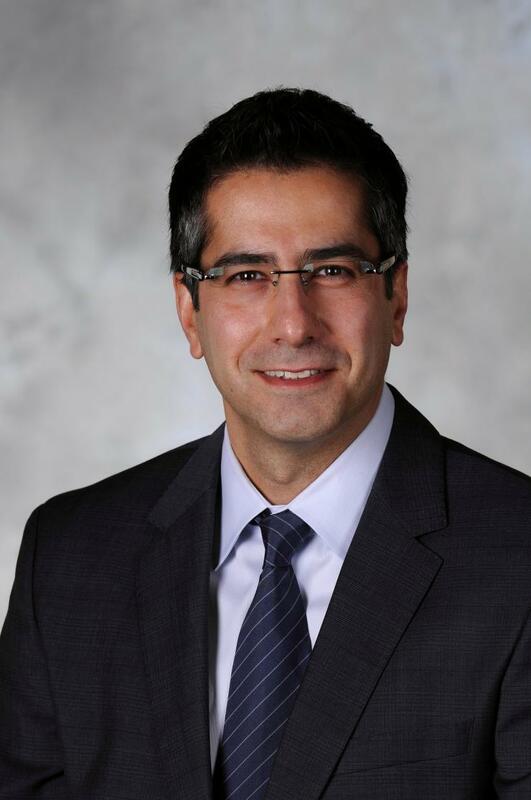 Farrokh Ayazi has been appointed as the Ken Byers Professor, effective October 1. This professorship was previously held by Raghupathy Sivakumar. Ayazi joined the Georgia Tech School of Electrical and Computer Engineering (ECE) faculty in 1999, where he leads the Integrated MEMS (IMEMS) Laboratory and the Center for MEMS and Microsystems Technologies. He and his team of 10 graduate students and three postdoctoral fellows work in the area of integrated micro and nano electro mechanical systems (MEMS and NEMS), with a focus on micro and nano mechanical resonators and on mixed-signal interface circuits for MEMS and sensors. Ayazi has graduated 20 Ph.D. students and advised eight postdoctoral fellows, and he has published over 200 refereed journal and conference papers and seven parts of books with his students and faculty colleagues. He and his graduate students have also won several best paper awards at IEEE conferences. A Fellow of the IEEE, Ayazi is the editor for the IEEE Transactions on Electronic Devices and is a past editor of the IEEE/ASME Journal of Microelectromechanical Systems, a post that he held for seven years. He has held leadership roles in the top MEMS and electronics conferences and workshops, including most recently as general chair for the 2014 IEEE MEMS Conference. He has been involved with numerous research centers at Georgia Tech, including the Nanotechnology Research Center, the Georgia Electronic Design Center, and the Packaging Research Center. During his career at Georgia Tech, Ayazi has been very involved in entrepreneurial activities. He is the co-founder and CTO of Qualtré, a spinout company of the IMEMS Lab that develops silicon bulk acoustic wave gyroscopes and motion sensors that power today’s consumer electronics and personal navigation systems. A microresonator technology that Ayazi and his students developed at Georgia Tech was licensed to Integrated Device Technology (IDT), and the first product offering based on this technology, CrystalFree™ pMEMS™ Oscillators, was announced by IDT last year. He also holds 42 patents mainly in the areas of MEMS resonator and gyroscope technologies. Ayazi is a past recipient of the NSF CAREER Award, the ECE Outstanding Junior Faculty Member Award, and the ECE Richard M. Bass/Eta Kappa Nu Outstanding Teacher Award.